This magic magnetic building set is a fun and easy way to foster the creativity in children by allowing them to bring their imagination to life. The durable construction of this set means that it will stand up to the rigors of everyday play. The sticks in this set are made of a solid steel core and covered with plastic to make them not only strong, but it also allows more of the magnetic force to be utilized making them stronger. The steel balls included are not magnets, but will securely stick to the magnetic bars allowing you to make bigger and more durable creations. The items included in this set are 60 steel balls, and 96 bars. The bars are made to be 1.26" long so it is safe for children to play. The steel balls are not magnets but the chrome coated steel balls. This toy is good for both kids and adults. It gives hours of fun for you and your family. Note: For 4 years and up. Magnetic Building Sets These magic magnetic building set are a fun and easy way to foster the creativity in children by allowing them to bring their imagination to life. The durable construction of these magnet building sets will stand up to the rigors of everyday play. The sticks in this building set are made of a solid steel core and covered with plastic to make them not only strong, but it also allows more of the magnetic force to be utilized making them stronger. The steel balls included are not magnets, but will securely stick to the magnetic bars allowing you to make bigger and more durable creations. 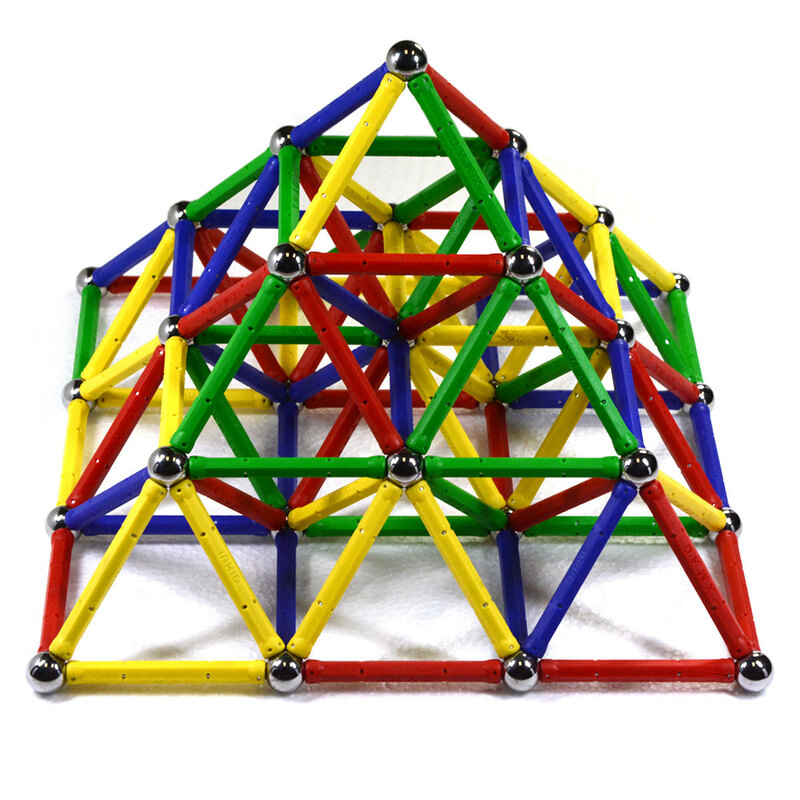 The items included in these magnetic building sets are magnetic bars and steel balls. The bars are made to be 1.26" long so it is safe for children to play with. The steel balls are not magnets but the chrome coated steel balls. I was looking for a good gift ideas for my grandchildren who are 7 and 9, and i read about building set in a magazine and after looking at different sets i saw that this was the cheapest one that was still highly rated. I went ahead and got this and they loved it! Everything in the set was really high quality and they played with it for hours.